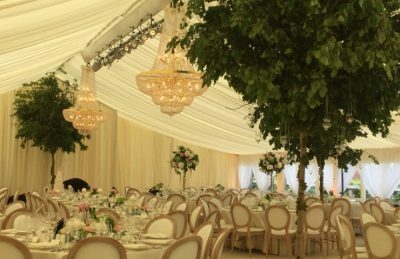 Marquee wedding interiors are popular again as more and more couples choose to get married outside the traditional wedding spaces. First of all, we are wedding designers and stylists and not wedding coordinators. Yes, there is a difference. 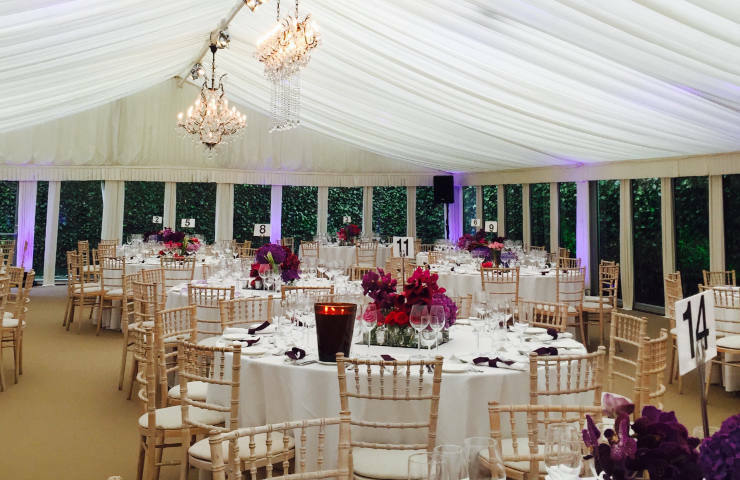 Our attention to detail is in the decor and overall appearance of the marquee. Wedding coordinators have a harder job. 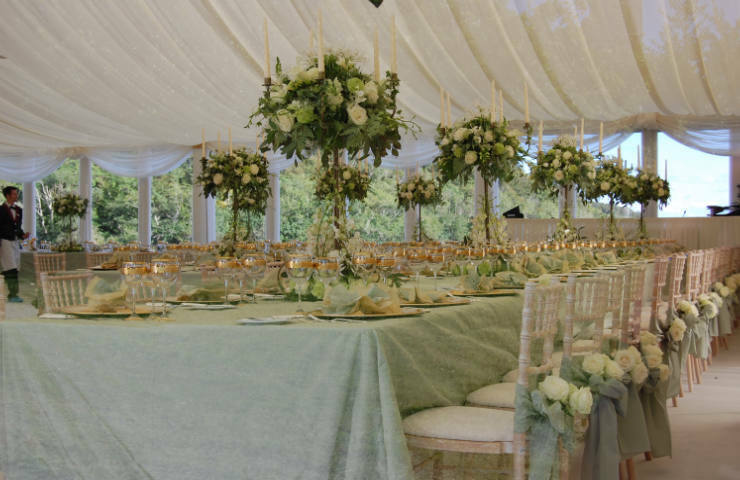 They pull all angles of the wedding together, with table plans and seating plans. Most of all, keeping all members of the family calm! As a result, over the years the team have changed a cow barn into a 5 star wedding reception, to a mechanics garage transformed into an enchanted secret garden for their wedding day. There are endless opportunities and your imagination is the only limit to your wedding marquee. 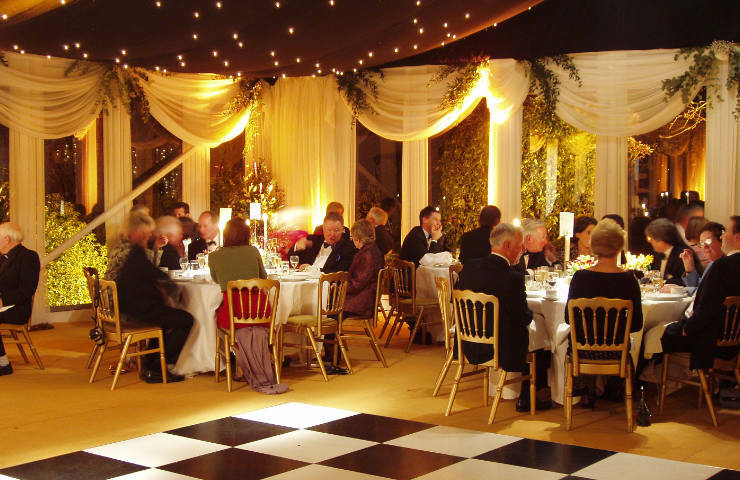 A marquee wedding reception can open up endless options for creativity. There are just so with many styles and sizes to choose from. 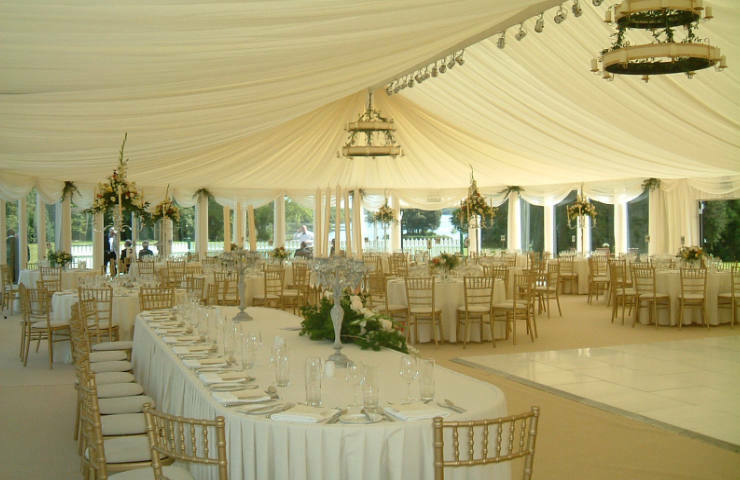 Consequently, the beauty of a marquee is that the structure can be placed anywhere. You are not limited to the number of guests, if you have the space. We have worked with all the best wedding marquee suppliers in Ireland and have fitted into the tightest spaces available to us. 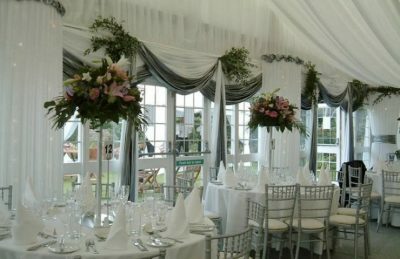 The images on our website are from weddings that we had the pleasure of working with to style and decorate the marquee. This is decorated to suit the wedding couples vision. 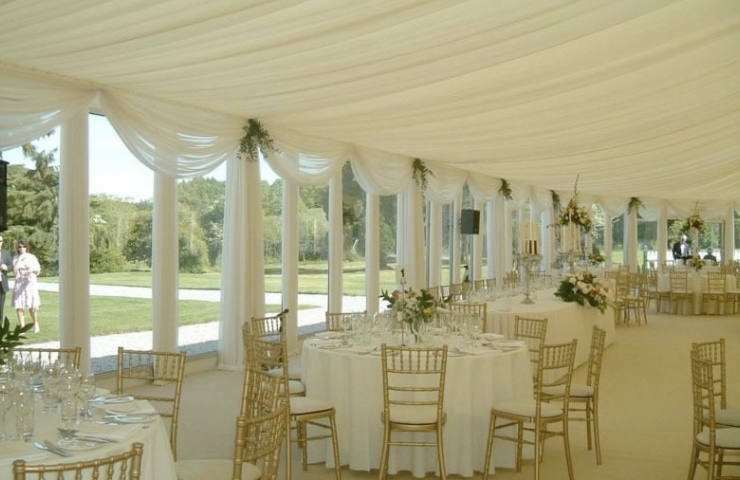 Furthermore, a wedding in a marquee allows you to personalise your wedding and invite guests to suit you both, rather than the structural size of a hotel reception. Whether you prefer a classical setting or a contemporary ambience, all this can be discussed at our first meeting. From our first sketches, we will produce a finalised 3D drawing of your marquee. Most of all, we will show all windows, doors decking, pagodas, walkways in the drawing. 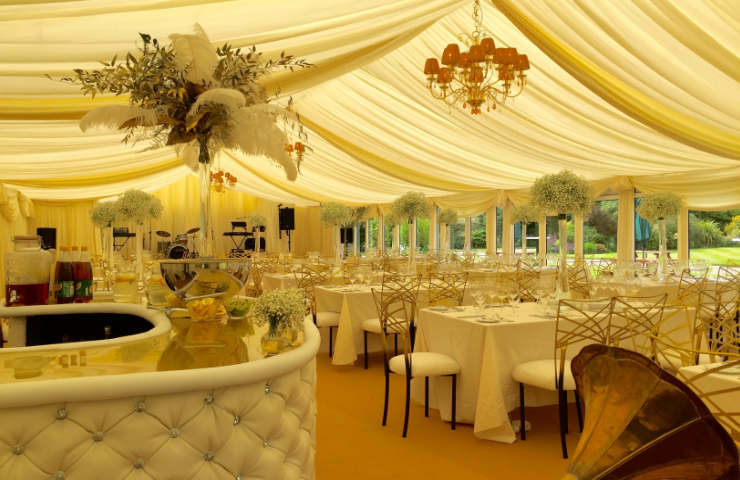 An interior view will show tables, stage , lighting and bar scaled to show you a 3D version of your marquee. We have styled marquees with fairy light ceilings, custom designed chandeliers, glitter balls dropped over sparking gold dance floors to name a few therefore we will allow our images to give you a sence of our finished look.